The Baker Hughes U.S rig count was down 14 this week to 1,768. 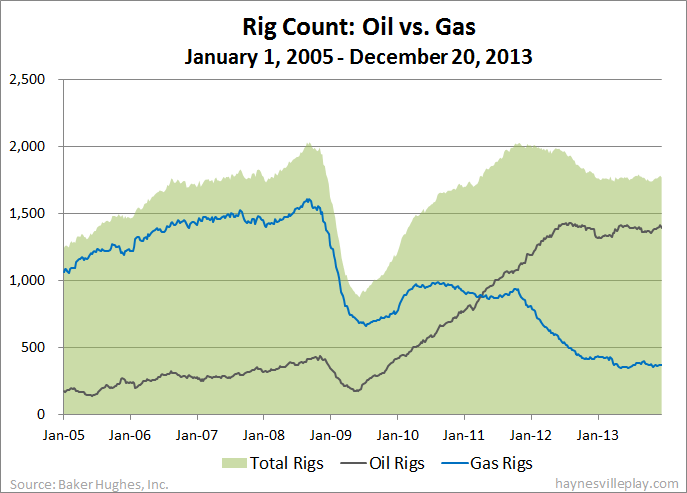 Oil rigs were down 16 to 1,395, gas rigs were up three to 372 and miscellaneous rigs were down one to one. By type, horizontal rigs were down five to 1,140, vertical rigs were down two to 405 and directional rigs were down seven to 223. Among gas rigs, horizontal rigs were up seven to 270, directional rigs were down six to 69 and vertical rigs were up two to 33. Hey Robert... Will you have time to up date the location of the rigs?